Leicester Tigers fans can combine their love of rugby with a popular tipple as the club unveils an exciting partnership with Burleighs Gin. 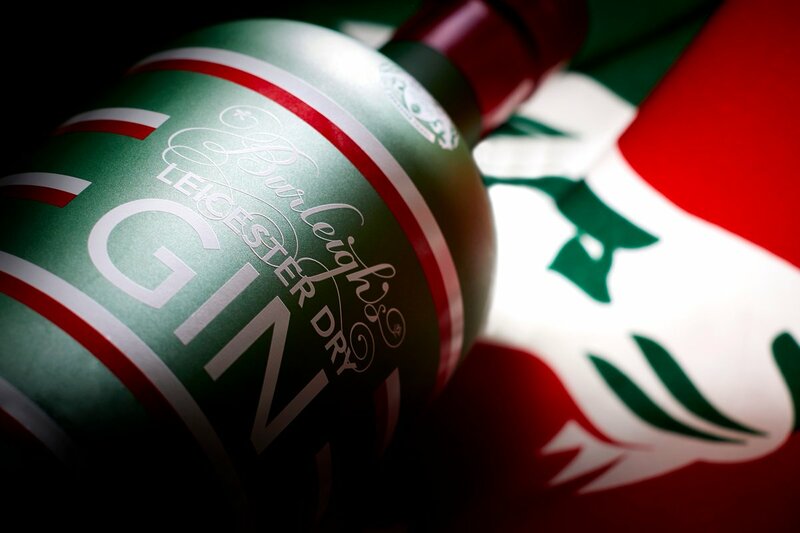 Distilled in Leicestershire, the launch has been marked with the creation of a unique ‘Leicester Tigers Gin’ which is inspired by the club’s famous red, white and green stripes. Fans and gin-lovers alike will be able to pre-order the special edition bottle from http://BurleighsGin.com . Leicester Tigers players Greg Bateman and Tatafu-Polota Nau dropped by the 45 West bar on Hotel St, Leicester, to showcase the new-look gin with Burleighs staff. The launch has been marked with the creation of a unique ‘Leicester Tigers Gin’  which is inspired by the club’s famous red, white and green stripes. Alive with silver birch, dandelion, burdock and elderberry, the Burleighs Gin recipe is inspired by the Leicestershire woodland in which the distillery is housed. Incredibly vibrant and refreshing, the Leicester Tigers gin is perfect for a classic gin & tonic. Fans and gin-lovers alike will be able to pre-order the special edition bottle from BurleighsGin.com. Customers who purchase the first batch of pre-orders will receive an invitation to collect their gin in person at an exclusive launch event on Saturday, September 8 after Tigers first home fixture of the season against Newcastle Falcons (3.00pm). Leicester Tigers will be taking over Burleighs city centre venues 45 West, 45 St. Martins and the Distiller’s Kitchen. Accompanied by members of the Leicester Tigers squad, this will be the first opportunity to try the new collaboration gin which will be available at Tigers 25,689-capacity home ground as well as Burleighs associated bars. The 10-times English rugby union champions will also be hosting events at the iconic Welford Road stadium throughout the season inviting fans to sample one of the distillery’s latest venture. Tigers are hosting a special ‘Meet the New Guys’ cocktail evening on Tuesday, September 25 at Welford Road. Burleighs mixologists will be on hand with demonstrations and lessons for all to get involved as well as a Q&A with Tigers newest signings for the 208/19 season. Tickets can be purchased at LeicesterTigers.com or clicking here. Leicester Tigers Gin will be priced at £35 and joins Burleighs signature collection of London Dry Gin, Export Strength, Distillers Cut Gin, Pink Edition and Leicester Dry Gin. Andrea Pinchen, commercial director at Leicester Tigers, said: “Gin has risen in popularity in recent years so it’s hugely exciting to be able to work with a successful local distiller in Burleighs to create our own Leicester Tigers offering. “Having worked closely with Matt Payne and his team, we’re proud to support the Leicestershire business and, with a huge mix of fans around the world, our gin-lovers won’t be disappointed. Leicester Tigers and Burleighs will offering exclusive competitions and gin experiences to season ticket holders and fans throughout the season.